Foxtail asparagus ferns are unusual and attractive evergreen flowering plants and have many uses in the landscape and beyond. Asparagus densiflorus ‘Myers’ is related to the asparagus fern ‘Sprengeri’ and is actually a member of the lily family. Let’s find out how to take care of a foxtail fern in the garden. Foxtail ferns are not really ferns, as they’re multiplied from seeds and produce no spores. The common name likely came from the clumping habit of the plant that is similar to that of a fern. Don’t let the appearance deceive you, however. In reality, foxtail ferns are tough and hardy specimens, flourishing with limited care. Foxtail fern plants are drought resistant once established. Learning how to take care of a foxtail fern is far from difficult. Plant the outdoor foxtail fern in a lightly shaded area, particularly avoiding hot afternoon sun in the hottest zones. The potted specimen outside can take gentle morning sun with light shade for the rest of the day. Indoors, locate the foxtail in bright light and even direct morning sun in winter. 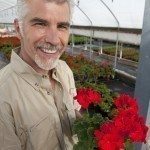 Provide humidity to plants growing indoors. Foxtail fern plants benefit from regular water during drought and seasonal fertilization. These plants demonstrate their need for fertilization when the needle-like leaves turn pale or yellow. 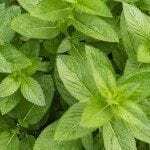 Feed this plant in spring with a time released food or monthly during the growing season with a balanced 10-10-10 plant food at half strength. Keep the soil lightly moist. Allow the top 3 inches of soil to dry out between waterings. The foxtail, also called ponytail fern or emerald fern, benefits from immersion for thorough watering. Prune back yellowing stems on the plant as needed for a tidy appearance and to encourage new growth. The ripe red berries on foxtail ferns after flowering contain seeds to propagate for more of the lovely plants. You can also divide foxtail fern plants in spring, making sure the tuberous root system is entirely covered with a well draining soil. Tubers may grow through the top of the soil on plants that are overcrowded in the pot. 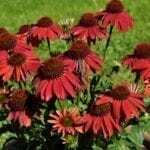 Take advantage of this attractive plant for many of your gardening needs. Bottlebrush-like plumes of foxtail fern plants are versatile; useful in the perennial border alongside other flowering plants, in outdoor containers and as houseplants for winter months. Foxtail ferns have a moderate salt tolerance, so include them in your seaside plantings when a finely textured plant is desired in USDA Zones 9-11. In colder zones, grow the plant as an annual or in a container to bring inside for the winter. Foxtail plumes are also useful as greenery in cut flower arrangements, lasting for two to three weeks before the foliage yellows. Read more articles about Asparagus Ferns.